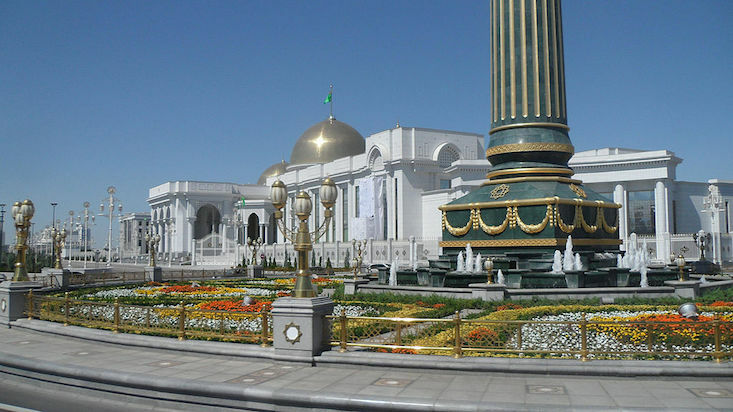 A choir in Turkmenistan has broken a world record, singing a hymn written by the country’s president, Gurbanguly Berdymukhamedov. The huge choir of 4,166 people broke the world record for most people singing in a round, meaning a song in which each voice or group of voices enters at a different time with the same melody. Their performance of Forward, only forward, my dear country Turkmenistan, which took place inside a giant yurt, was observed by an official from Guinness World Records. “I was witness to a huge surge of patriotism as Turkmen citizens performed in a single breath the song of the head of state,” adjudicator Şeyda Subaşı told Turkmen state television.